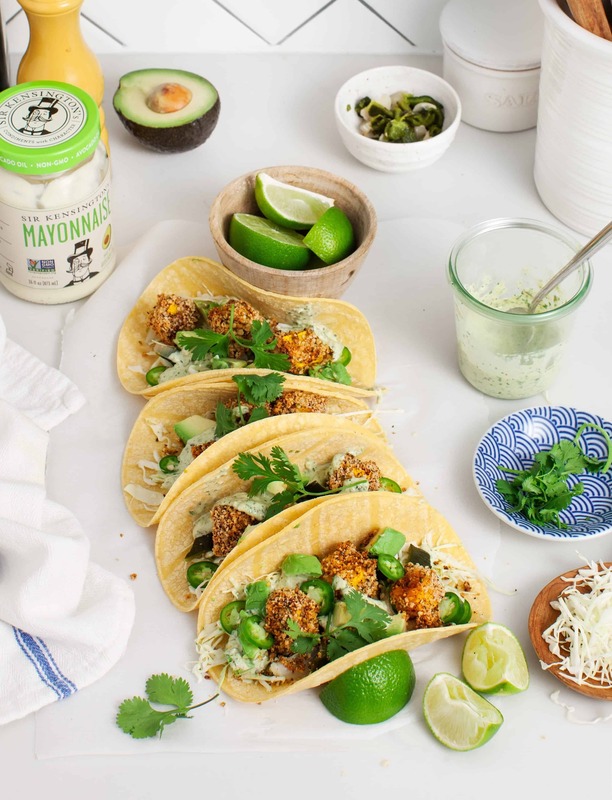 I'm head over heels for these butternut squash tacos loaded with crispy baked squash cubes, simple slaw, and a to-die-for creamy poblano sauce. Short on time? Make a veggie quesadilla for dinner! 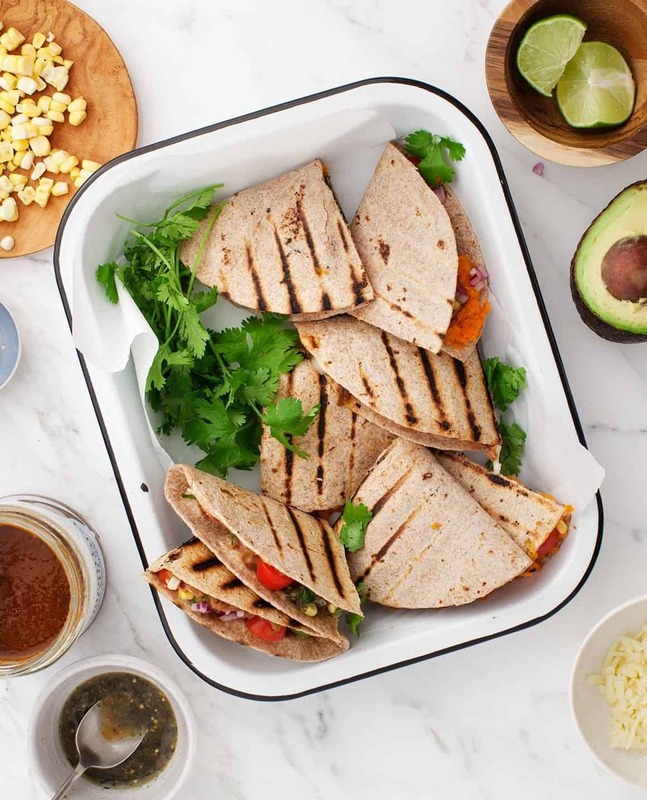 This recipe gives you fun mix & match vegetarian quesadilla filling ideas for healthy, quick meals. 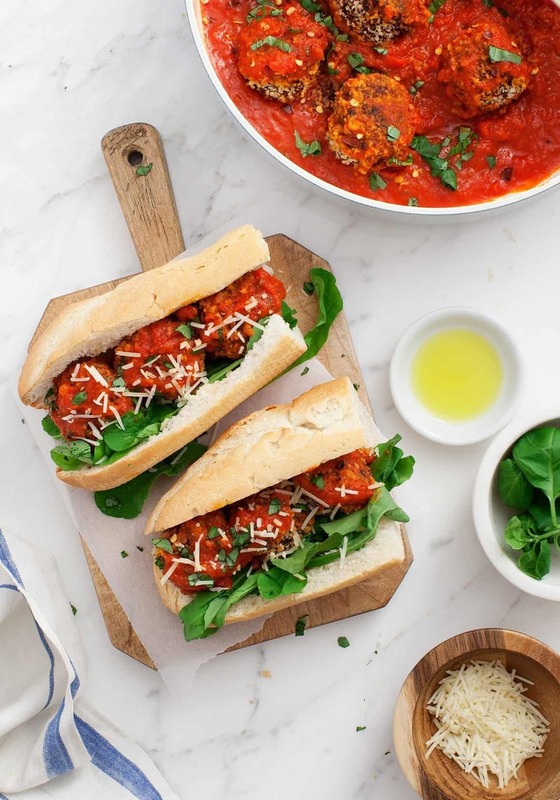 Serve these subs next time you're entertaining - the meatballs can be made ahead of time, and even picky eaters love the smoky, savory flavors here. 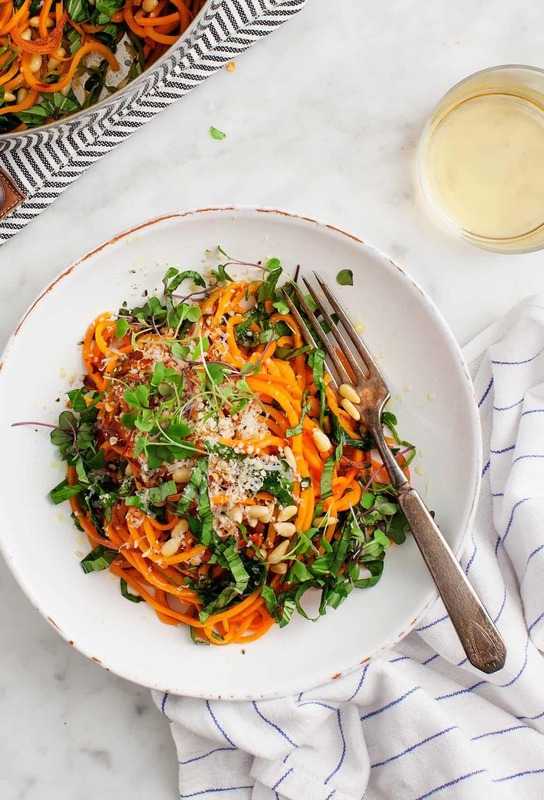 Sweet potato noodles inject the classic Spaghetti Aglio e Olio with brilliant color in this easy dish. 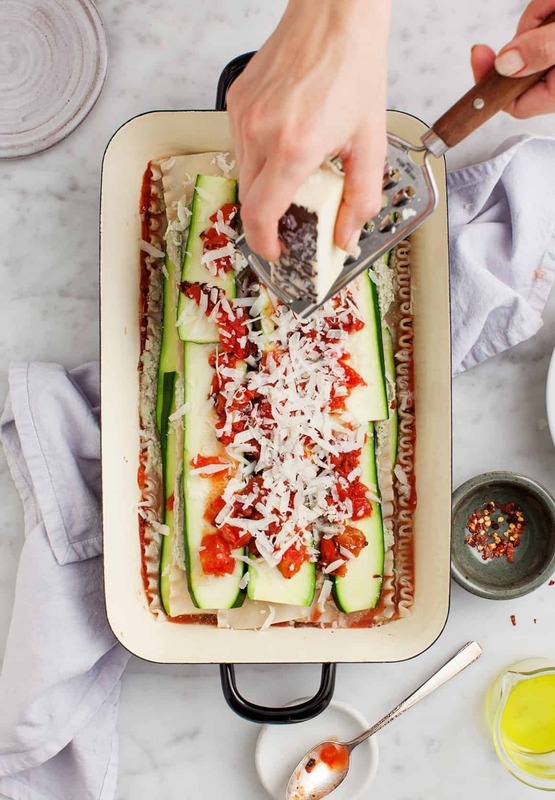 I love to top mine with basil & plenty of Parmesan.